Indian non-profit organisations often work across a cross-section of programmes and themes reaching diverse sets of beneficiaries. Despite many cracking good practices and benchmarks in data collection and analysis, they struggle to be truly data-driven in philosophy and practice. A robust Business Intelligence system can be an asset to organizations, and will go a long way in ensuring optimal distribution of resources and achieve real data-driven decision making and both impactful as well as cost-effective programming and organizational development. 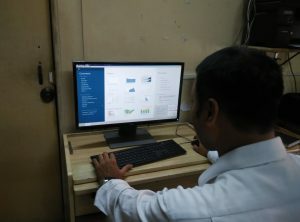 A couple of years ago, at SNEHA, a Mumbai-based non-profit organization working on the health of women and children, we launched our Business Intelligence System, with data across our major themes covering 8 different informal urban settlements and a total population coverage of over 7 lakh people. 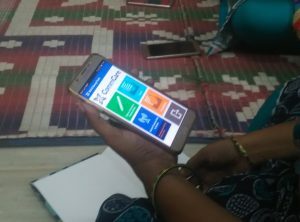 While we have been using mobile-based data collection technology since 2013, a lot of time and human effort would go into cleaning and fixing the data we collected. Our eventual dream was to have a centralized repository of information that could be appropriately accessed by our staff for real time data feedback and informed intervention and by our external stakeholders to stay updated on our work. It seemed like a pipe dream! But we knew we had to start the journey. The Business Intelligence system has enhanced the way we take decisions and take stock of our performance as an organization. The system has accelerated our ability to visualize our impact and progress. It has also made us reflect on using data at the epicenter of our decision making. And not insignificantly, it has enabled automation to check and clean raw data, so that human efforts are used for other work requiring higher order skills. The Business Intelligence system is helping us in more ways than we imagined! Load balancing: In terms of internal processes and efficiency, it has enabled us to gauge individual staff workloads, particularly that of fieldworkers, leading to better work allocation and an increase in overall productivity. Targeted capacity building: It has informed us of knowledge and skills gaps among both our own field staff and among public health staff, whom we can then train and upskill, as part of our programs. Being well aware of common training needs has pushed us to upgrade our capacity building material to fill pressing skill and knowledge gaps. Tailored Data visualization: With the new system, we have found it very easy to pull out data sets and patterns and share concrete, empirical data with public systems. This has enabled us to give them real-time feedback on quality of care and infrastructure, as well as community mobilization, which is one of the core tasks of a government health worker. For instance, we have dashboards on immunization coverage, with colour-coded visualization to assess which child has received specific immunization, in a given area. We pass on this information to government ASHAs who in turn use this to target her home-visits and counselling activities. Time & efficiency saves: We save almost 15 man-days per month on data cleaning, allowing our monitoring & evaluation team to use their time more effectively for data analysis. Assign an ‘insider veteran’ to oversee the operation: It is important to have a staff member who understands the programs and organization in depth to be at the helm of this operation. While you are adding an important layer to your organisation’s asset and infrastructure, it is important that the new technology is in sync with your values and philosophy. In SNEHA’s case, though we hired a Business Analyst Consultant to establish our BI System, the entire project was headed by a long-time program specialist who acted as the primary intermediary between the organization and the vendor. Bottoms-up approach works better: A top-down approach might not work, particularly in the context of a non-profit organization, where staff are very passionate about their work and how it is reflected on the field. Value for the system can take a long time to establish as the end goal is defined in social outcomes and not in monetary terms. As with introducing new systems and technology, there was mild resistance across our teams, especially as they thought of the BI system as adding an extra layer of work. The onus was on the Technology team to hold continuous discussions with the program team and reassure them that in the long run, the Business Intelligence system will reduce their workload. We also conceptualized a governance model, wherein our Data Officers congregate in one location once a week, to work on the system. Senior management to be a strong sponsor/supporter: On the Senior Management’s part, they made it compulsory to use the BI system’s tools for displaying results and impact. This institutionalized and encouraged active use of the BI system across the organization. Continuous and conscious evaluation is a must: It is important to keep seeking feedback and advice from varied stakeholders: partners, key donors, domain experts and the Board. We were also fortunate to have access to Mastek, our technology advisors who helped us with vendor section and for negotiating costs. Use this diverse group as a sounding board to continually assess and introspect on your progress. While this may be time consuming in the short run, it is very key to successful Business Intelligence implementation. Have a dedicated team in place: It is necessary to have a separate taskforce that is completely dedicated to setting up and implementing the BI system. The Monitoring and Evaluation team ensured that they were available and were willing to adopt the new system. At one point of time they were working on the old and fine-tuning the new one to ensure that program and SNEHA work did not suffer. This team had to unlearn many concepts and ideas of data processing which they did successfully. Without the dedicated involvement of this team BI implementation would have been a distant dream. The technology team at SNEHA has a good mix of varied skill sets, we have a team leader with a background in data analytics and two officers with sound working knowledge of hardware. In addition, the entire team received specialized training in networking and hardware. It is thus imperative on the part of the organization to continuously invest in building the team’s capacity rather than outsourcing the upkeep and operations. This team should gradually take over the entire responsibility of the system. Infrastructure is key: Thanks to advancement in cloud-based technology, there might not be an overarching need to purchase expensive software. However, having said that, it is important to have good hardware infrastructure in place: your internet connectivity should be fast and reliant, there is a need to provide staff with high quality processor computers. A parallel enabling hardware with an encouraging management who is willing to invest in this is a pre-requisite. Making Business Intelligence available for decision-making by management: Data from Business Intelligence systems can be a boon to senior management, while they go about making important organisational decisions. This is still a work-in-progress as far as SNEHA is concerned. A centralized dashboard that captures data across the organization will be a step in the right direction henceforth. Currently, individual program dashboards are sent to senior management but for a complete view of indicators across SNEHA, a combined dashboard can be sent.